Grand Central Station. Image: supplied. Students and their Professors are heading home to start semester two back in Melbourne after an intensive two weeks engaging with a range of individuals across public and private areas of law connected to international and transnational issues. At the United Nations (UN) this week, the class met with representatives from the UN Office of Legal Affairs and the UN Department of Peacekeeping Operations. The students visited Open Society Foundations and also held discussions with individuals from Crisis Action and Pfizer. The week included an extended visit to the Law School of New York University, where students heard from Professor José Enrique Alvarez and also participated in an interactive exercise on cross-border negotiation and dispute settlement. Introduction at Davis Polk & Wardwell LLP. Image: supplied. 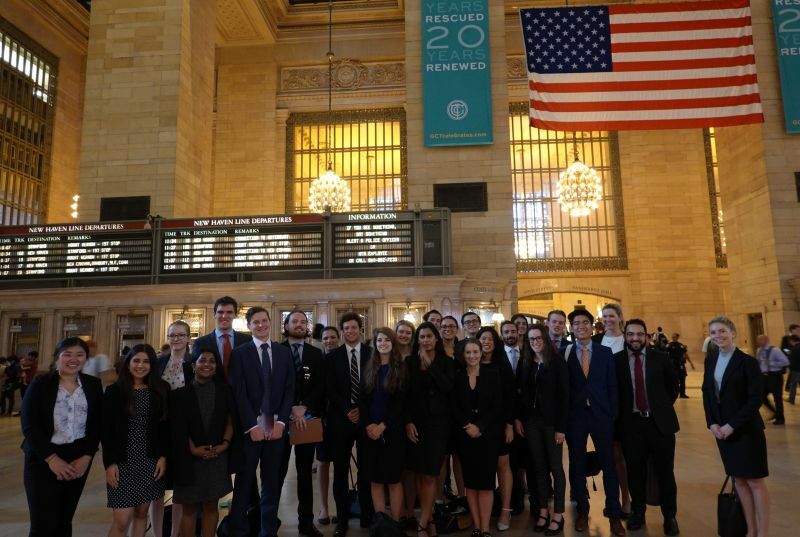 Also in New York this week, students visited five leading law firms to learn from a number of lawyers from different countries working in a variety of fields, including intellectual property, transactional work, domestic litigation, international commercial arbitration, investment treaty arbitration, and dispute settlement before the International Court of Justice. The course ended at the Permanent Mission of Australia to the UN, where the class spoke with a panel of experts from Australia, the United Kingdom, Peru and Mexico, addressing matters from Brexit to the Security Council and other developments in international law. Hudson River Park. Image: supplied. 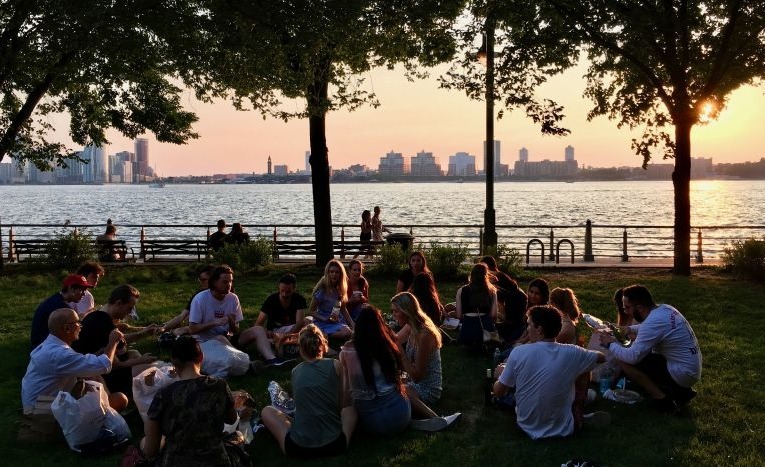 Applications from current Melbourne JD students for Institutions in International Law in Geneva and Global Lawyer in the United States in 2019 will open later this year.